AKIPRESS.COM - Mongolia established diplomatic relations with Barbados on January 17, Montsame reports. 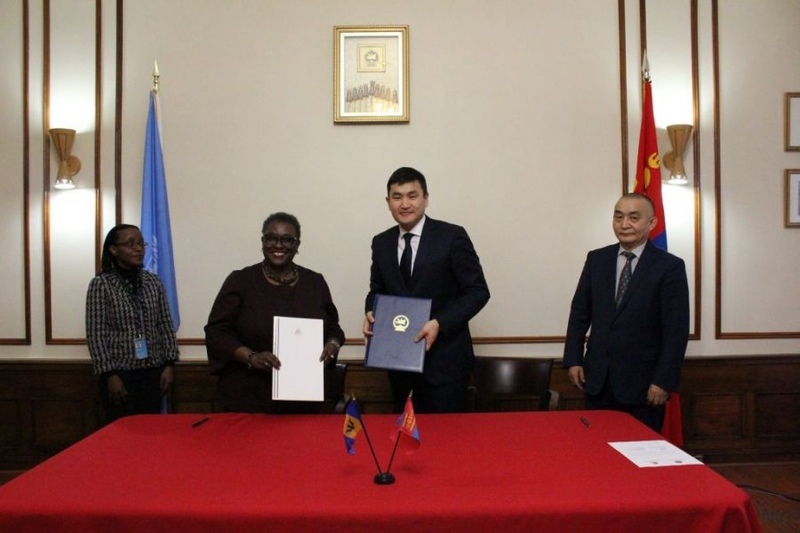 Official statement on the establishment of diplomatic relations was signed by Ambassador and Permanent Representative of Mongolia to the United Nations S.Sukhbold and by Permanent Representative of Barbados to the United Nations Elizabeth Thompson in New York, USA. Establishing the diplomatic relations, countries agreed to adhere to the Vienna Convention on Diplomatic Relations, the UN Charter and principles and norms of international law. The two parties noted the establishment of diplomatic relations will open up opportunities to cooperate and to mutually provide support at bilateral level and within the international organizations. Mongolia has set a goal to establish diplomatic relations with all UN member countries.